SCVHistory.com LW3011 | Film-Arts | Separation of Hoot Gibson, Sally Eilers Disclosed, 1932. The separation of actress Sally Eilers from her husband, Western screen star and Saugus resident Hoot Gibson, came to light after Eilers was involved in an automobile accident in the spring of 1932. It was less than two years after the couple married at Gibson's Saugus ranch home (the ex-Baker Ranch Rodeo, later Saugus Speedway). Associated Press Photo ... From New York. Sally Eilers, film actress, whose troubled domestic affairs with Hoot Gibson, motion picture cowboy, were disclosed as the result of a motor car accident, said on May 9 she and Gibson had agreed on a temporary separation to see "what that would bring." Miss Eilers is recovering in the Santa Monica, Calif., home of Bebe Daniels from injuries suffered in the auto accident. She admitted she and Gibson separated on May 7. They married in June 1930. 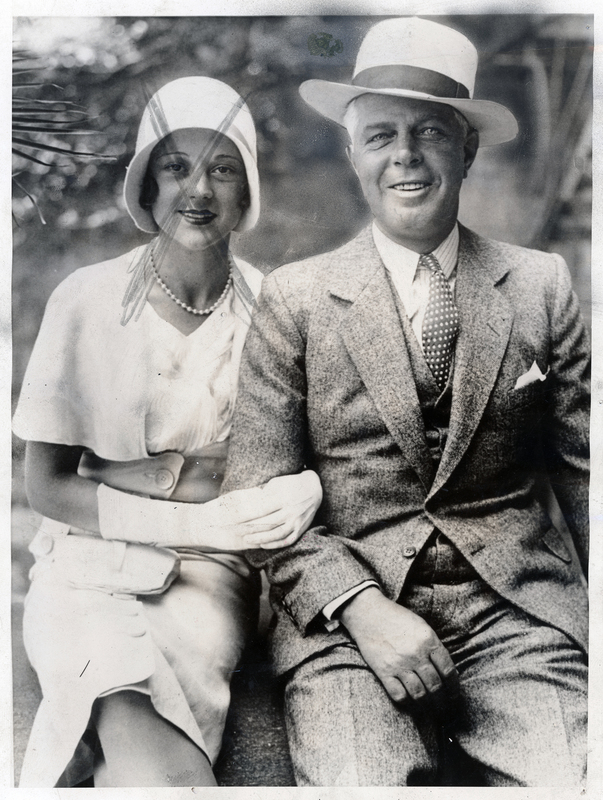 Photo shows Hoot Gibson and Sally Eilers. LW3011: 9600 dpi jpeg from original photograph purchased 2017 by Leon Worden.